Cloggy Nook is a sympathetically converted farm building of exceptional quality set in the delightful and quiet rural location of Tughall Steads. It lies a kilometre inland between the lovely bays of Beadnell and Embleton. 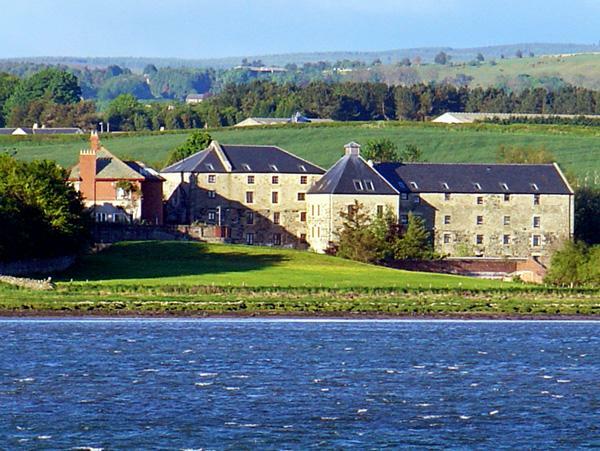 Low Newton-by-the-sea with its beach and highly regarded Ship Inn is just 5 minutes drive away. Cloggy Nook makes an ideal location for exploring the Heritage coastline with its beautiful sandy beaches and romantic castles, the Farne Islands, and historic Holy Island. Alnwick’s castle and garden are just 12 miles away. The area is excellent for water sports, fishing, golf, cycling, walking, sight-seeing and bird watching. Dogs are allowed on all nearby beaches throughout the year and the owners of Cloggy Nook are pleased to welcome all family members including the four-legged ones ! Accommodation is all ground floor. A Spacious, yet cosy lounge with a stunning high beamed ceiling and a highly attractive stove set into an inglenook fireplace. The d�cor and furniture are of excellent quality, stylish and comfortable. One step down leads into the exceptionally well equipped and presented dining kitchen which has a high beamed ceiling and a door to garden through original hemmel arch. A delightful king size bedroom with an en-suite with double shower and wc. A tastefully decorated double bedroom with a full height window overlooking patio. Bathroom with bath and wc . Enclosed gardens surround the property. The kitchen door opens onto a small suntrap garden with a bench ideal for morning coffee. At the back there is a patio with table and chairs. In addition there is a large adjacent garden with mature trees, pergola and lovely rural outlook, with distant views of the sea, ideal for relaxation. Services. Electricity and full oil CH included. Log effect gas stove. Colour TV. DVD. Second TV in kitchen. CD radio. Telephone and free Wi-Fi . Double oven and ceramic hob. Microwave. Fridge/freezer. Dishwasher. Washing machine. Tumble dryer. Espresso coffee machine. Shaver point. Cot and highchair. Outdoor furniture, barbecue, chiminea and lighting. Private parking for 2 cars. Shops/PO/pubs 2 miles. Duvets with linen and towels. Pets welcome by arrangement. No smoking in the cottage please. Kitchen essentials coffee, tea, sugar and luxury toiletries provided. FRIDAY TO FRIDAY. Wonderful cottage - very well appointed and perfect for relaxing with our two dogs. Cloggy Nook is very clean and comfortable, it is very well equipped with everything you require in a kitchen. The entertainment systems provided are of much higher quality than found in your average cottage and there is an attention to detail in the way that the cottage is presented making it feel like a place that can be lived in and not just an empty shell. The beaches in the area are outstanding often you can have them to yourself. 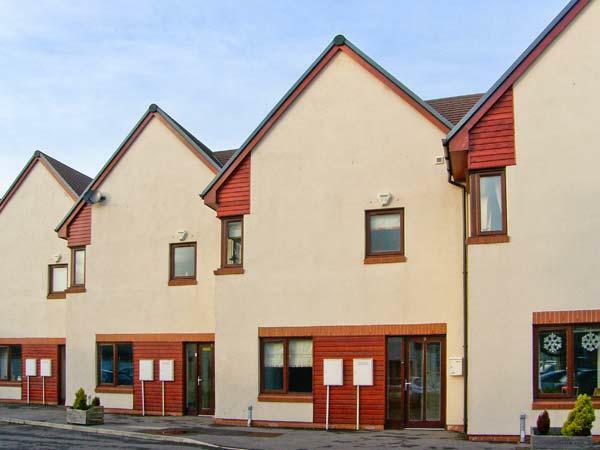 All the amenities are just a short drive away in Seahouses. This is an ideal cottage to just get away from it all. The cottage exceeded our expectations. We are fussy due some bad experiences in the past. The description of the cottage and the pictures on the website are very accurate. The owner has thought of every possible requirement for a holiday stay. The owner kept in touch before the holiday a courtesy call whilst we there to check everything was ok and a follow up e mail as well. The area of the cottage is ideal to visit local attractions or just to walk to the beach from the property. The local places to eat were of a good standard and plenty of choices too. We look forward to a return visit. 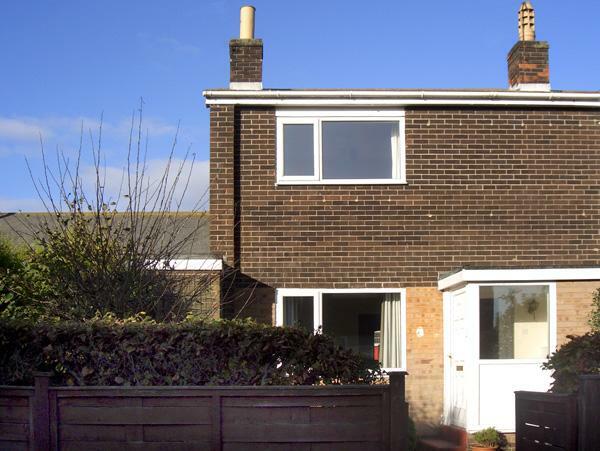 This is a lovely, comfortable property in a great location. The owners put in the effort to make sure everything goes smoothly and communicate well. Beautiful beaches and countryside, great places to eat out, friendly people. We had a great time. Doggy day care at Happy Hounds allowed us to have great days out at the Farne Islands and Alnwick. Highly recommended. Beautiful cottage with excellent attention to detail. A real 'luxurious' home from home with everything thought of. Fab gardens. Very close to all major areas of interest. We had a brilliant week. Make up of party: Couple with teenage son and 1 dog. Very well appointed, with every convenience you could wish for. Reassuringly dog-friendly with secure fences round gardens. We had a fantastic holiday. Make up of party: Couple with young Golden Retriever. 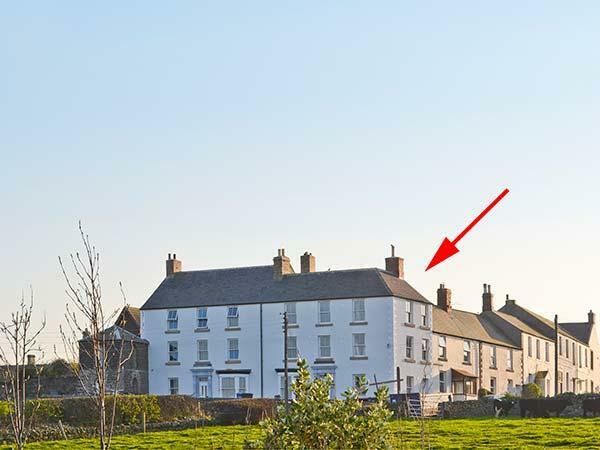 We stayed at Cloggy Nook in early December 2013 for a weekend break. From the time of booking to the follow up email after the break, we could not have wished for better treatment. The pre-arrival instructions and preparations were excellent, the cottage itself had every conceivable thing you want for a home from home holiday. We will certainly go back again. Make up of party: Two middle aged adults and one 80 year old parent. Delightful cottage, very clean, good decor, furnished to a high standard, very comfortable. Lots of basics provided, liked the many little touches which raises this cottage to another level. The bottle of wine and mineral water was a nice touch. Cottage stands among a small number of other cottages but non the less was very quiet (apart from the birds in trees opposite!) Surrounded by lovely countryside and pretty villages and sweeping beaches, however, difficult to access if your mobility is compromised. I would say you need good mobility to get the most out of this area. We have stayed in cottages with our dogs for the last ten years,so we have some experience!Cloggy Nook was outstanding in every way.The cottage is immaculately maintained,exceptionally clean, and equipped to a five star standard.A lot of thought has been put into making Cloggy Nook a beautiful, restful place to spend a well earned break.As soon as you enter you get the wow factor. The owners have an obvious flair for design and decor,with every detail covered.How thoughtful to provide "classy" toiletries for guests.Our two dogs loved it as much as us. Especially the enclosed paddock.The position of the cottage is ideal, away from the main road in lovely countryside, and only short drives to the wonderful dog friendly beaches.I could go on and on.The owners are caring and thoughtful to your every need, including thinking about the dogs.A five star award is certainly deserved for this outstanding property. We will be back year. We have stayed in cottages with our dogs for the last ten years,so we have some experience!Cloggy Nook was outstanding in every way.The cottage is immaculately maintained,exceptionally clean, and equipped to a five star standard.A lot of thought has been put into making Cloggy Nook a beautiful, restful place to spend a well earned break.As soon as you enter you get the wow factor. The owners have an obvious flair for design and decor,with every detail covered.How thoughtful to provide "classy" toiletries for guests.Our two dogs loved it as much as us. Especially the enclosed paddock.The position of the cottage is ideal, away from the main road in lovely countryside, and only short drives to the wonderful dog friendly beaches.I could go on and on.The owners are caring and thoughtful to your every need, including thinking about the dogs.A five star award is certainly deserved for this outstanding property. We will be back next year. We made a last minute booking to stay at Cloggy Nook over the Easter holidays. We were not disappointed. We have visited Northumberland with the children for the last couple of years and this is by far the best accomodation we have stayed in. Beautifully decorated and with everything you could possibly need (and more!) supplied, it really is a place you can just turn up and start to relax from the minute you walk through the door. The location is ideal, in a quiet hamlet with super views across open countryside yet only a few minutes drive from the nearest beach. The owners are lovely and friendly and just on the end of the phone should you need anything. Overall, we would highly recommend this cottage and will certainly be staying again. Thank you for a real home from home experience. 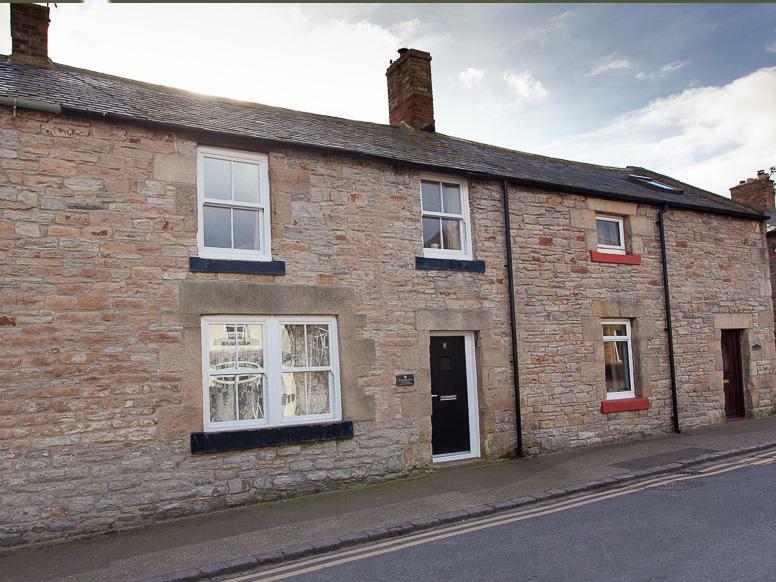 A delightful cottage, decorated to the highest standard and with all the amenities provided that you could wish for. Very comfortable beds and delightful lounging sofas. Kitchen even has an espresso machine. Two dog safe garden areas just outside the cottage doors and yet another across the path with open aspects to the surrounding farmland where you can watch hares racing around! I wouldn't hesitate to recommend Cloggy Nook to anyone with Dogs as Northumberland has to be one of the friendliest places to take our "best friends" with endless sandy beaches with wonderful views only minutes away. They didn't much like the nesting rooks though! Make up of party: Two old school friends and two border terriers. My wife and I spent a holiday in Northumberland over twenty years ago; it became our favourite place for Spring or Autumn holidays and our attraction has never diminished. We have always had dogs in our family who enjoy freedom in the rural area where we live but delight in accompanying us along the miles of beaches, coastal and country walks found on the Berwick-upon-Tweed coast. We discovered Cloggy Nook two years ago. This functionally converted barn provides very comfortable and convenient accommodation, is immaculately maintained, equipped to a standard that is unrivaled in our long experience and gives you the feeling when you return to it that you have been privileged to borrow someone’s second home and the personal effects in it. What’s more your dog’s needs are genuinely catered for. Cloggy Nook is situated minutes away by car from stretches of broad beaches, coastal and country walks spectacular views of Holy Island, the Farne Islands and Bamburgh Castle and, with short journeys or daily outings, unending alternatives for those looking for Nature Reserves, sites and buildings of historical and archaeological interest as well as family entertainment in season. On your return, whatever the weather, you will find a warm comfortable Cloggy Nook with every modern convenience welcoming you. Furthermore you have owners that are readily accessible if you should ever need them. We would confidently recommend Cloggy Nook to anyone. Fantastic! How could anybody rate this place less than five stars? Beautifully appointed large bungalow with every amenity catered for. It was so nice, I couldn't believe that they allowed dogs! 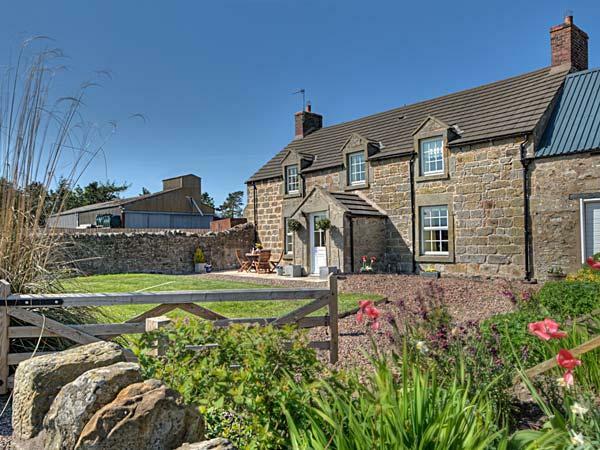 Set off the beaten track but within easy reach of Beadnell and Seahouses, it is located right in the heart of some of the most beautiful scenery in the British Isles. A perfect base for Lindisfarne and the Farne Islands, and close to perfect beaches where the dogs can go mad. Lovely! Have just returned from a lovely weeks holiday at Cloggy Nook. The cottage was exceptional. Just like staying at a friends home. I loved the little touches white bed linen, lovely big white fluffy towels, nice crockery, plenty of it,and nice large wine glasses. I could go on. Tea coffee dishwasher tablets etc and cleaning materials all provided. The area is fantastic, the cottage being central for lovely beaches Bamburgh and Alnwick. There is so much to do in this area. It is nice to know that you can stay in 5 star cottages that are happy to accommodate our four legged friends. 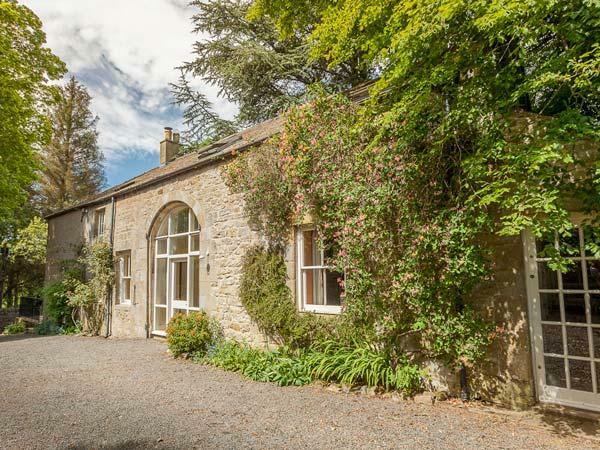 My wife Sandra and I along with our dog Dixie have just returned from a week’s holiday in this wonderful cottage, which absolutely stunned us from the moment we opened the door. It has been decorated and fitted out to a remarkably high standard and we wanted for absolutely nothing for the whole of our stay, even to the point of being able to construct our own masterpiece salad dressings with the pestle and mortar, or honing any blunted knives on the butcher’s steel provided! Speaking as dog owners, this has to be the best accommodation we’ve come across throughout many years of cottage holidays and we can’t recommend it highly enough. 6 gold stars! Cloggy Nook is an exceptional cottage with every little detail thought about. It is spotlessly clean, extremely well equipped and the owners are very helpful and phone to make sure you have everything you need. It is in a quiet location off the main road but central enough to get to all the coastal tourist spots very easily. We had a lovely week and I would thoroughly recommend Cloggy Nook. Amazing cottage, beautifully decorated and the level of finish is superb. All the features are just what you would expect, with a lovely gas log burner and blankets for snuggling up in. You literally dont need to think about anything as everthing you need is there. Make up of party: We met up with our two daughters who are 22 and 21 and had a lovely time. Great cottage with every thing you could need for a relaxing holiday. It is immaculate and very comfortable and the owners made sure we were happy with everything. We booked Cloggy Nook for a week to accomodate 4 adults 2 big dogs and 2 little dogs. This is by far the nicest cottage i have stayed in. Beautifully decorated, well furnished and very spacious. The kitchen is very well equipped with every gadget you would need, there are also plenty of doggy supplies if you forget anything and a lovely big garden area for them to play in. The location is perfect for getting away from it all, being on a private road you are not disturbed by passing traffic. We would all definitely recommend this cottage, and will be booking straight away for next year. Many thanks. From the first instant to the last we had a wonderful week at Cloggy Nook. The cottage is truly exceptional from the 'comfy' beds, pillows and duvets to the cosy lounge with it's gas log burner, fire, wifi and super TV (excellent reception), to the super farmhouse kitchen with a truly complete inventory. We hope to return next year. Cloggy Nook was the perfect cottage for us. As soon as we walked in we knew we would be spending a happy fortnight there - our every need was catered for. Comfy bed, brilliant white sheets, fluffy white bath sheets, complimentary toiletries, stylish decor throughout & a fantastically well equipped kitchen. Lovely welcoming touches, also, tea, coffee, milk, water, wine. It was our first visit to Northumbria and we loved every minute of it - the beaches, the castles, the wild life, the walks & the pubs. Can't wait to come back. This is the fourth time we have visited Northumberland, each time in different cottages. Cloggy Nook is the best by far! 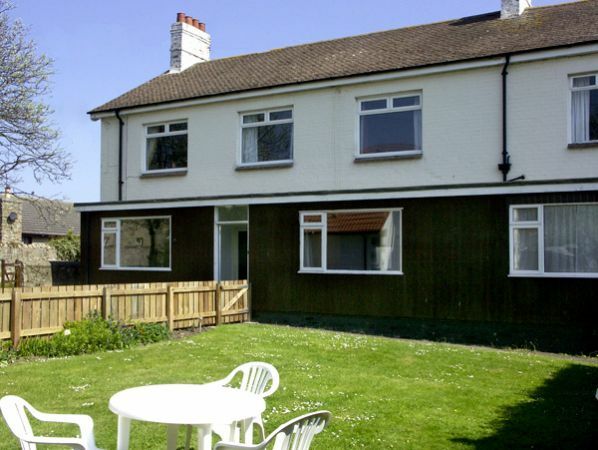 Well situated, great for dogs, clean, better equipped than our home, comfortable, quiet and relaxing, great gardens for both adults and dogs, ample parking. So good we have already booked for next year. Make up of party: 4 adults and 2 dogs. Being reguular visitors to the Northumberland coast we became intrigued by the sign to Tughall Steads so when we spotted Cloggy Nook in the brochure we decided to have a holiday there . We were pleased we did, for the cottage lived up to and beyond our expectations for a 5 star break, so clean and well equipped and even had a distant sea view from one of its three gardens. 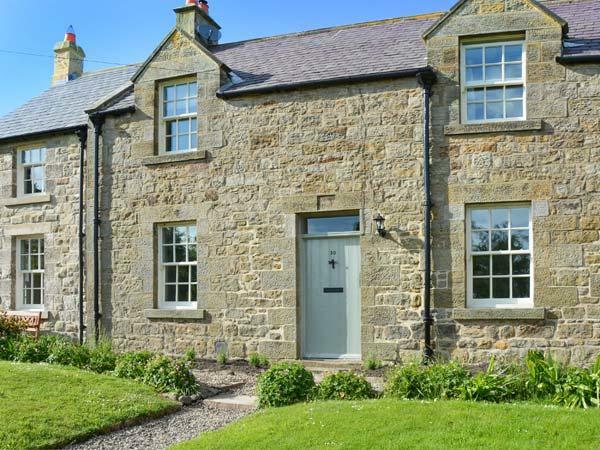 Very convenient for both Low Newton and Beadnell beaches with Alnwick only a short drive away. We wanted to revisit Northumberland as it has plenty of dog friendly sandy beaches. 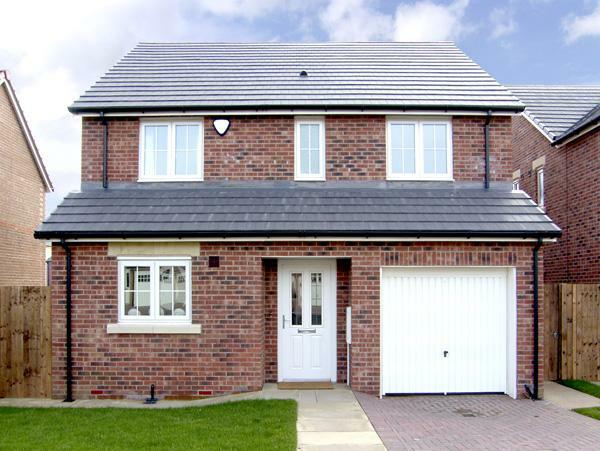 We were also looking for 4 or 5 star accommodation with an enclosed garden and cloggy nook fitted the bill perfectly. We stayed Mon through to Friday and thoroughly enjoyed our visit. The cottage was spacious with great big comfy sofas in the lounge. Kingsize bed in the master bedroom was very comfortable. Lots of little extras to make your stay very enjoyable. Also very quiet and peaceful area in the country. Lastly dog friendly pubs nearby that serve very good food and you can meet other pet owners. Would have no hesitation in recommending it to others and would certainly return as it is the perfect holiday for dogs. I booked the cottage for a long weekend over a bank holiday in April. As I wanted to take my dog along I was looking for a pet friendly part of the country and accomodation that would accept dogs expecting to have to compromise on the quality as a result. How wrong could I have been! - I was absolutely delighted with the cottage. Beautifully quiet but near to stunning beaches and scenery. The decor was fabulous - extremely comfortable with all mod cons. Everything was catered for - the large dining kitchen with doors opening onto one of three garden areas was a delight - made even better by it being one of the hottest weekends of the year. The stunning living room with beautiful furniture and a stove which I look forward to trying when I hopefully return if the weather isn't as good. The main bedroom with en suite was wonderful and the outside spaces with well fenced gardens made sitting enjoying the peace and quiet (only broken by the resident woodpecker) a real bonus. The owner was extremly helpful and gave us plenty of tips for pet friendly places to eat. Can't wait to return!